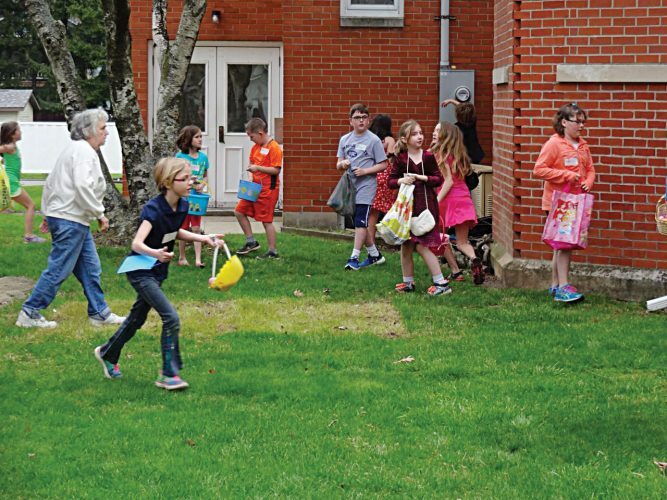 The Antique Study Club met on March 25 at the Woman’s Club of Warren for its monthly meeting. After a brief meeting conducted by President Crissi Winans, the club members heard a talk by Jim Ostergard about highly-collectible milk bottles and local old-time dairies. 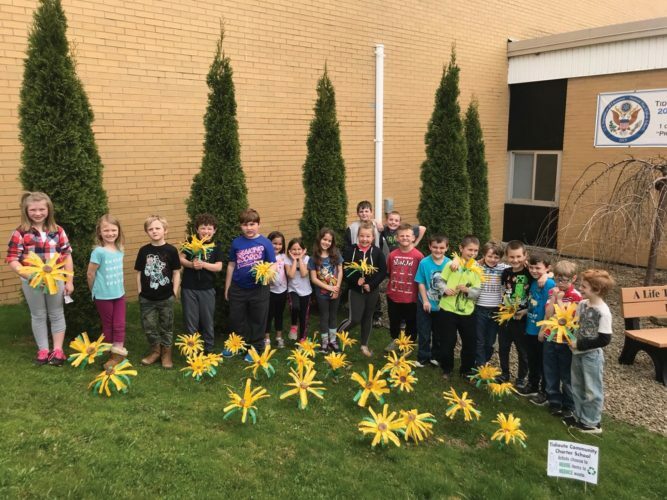 Ostergard talked about the various farms that were independent dairies all over Warren County when many members were young. He talked about how families would buy their milk from a pharmacy from a bulk container and just dip it out into their own personal container. A druggist named Dr. Harvey D. Thatcher in Potsdam, N.Y., created the milk bottle as we knew it before the plastic and cardboard containers came along. The creation of the glass bottle made it possible for the milk to be delivered to each house for a more sanitary and fresher product. Milk was delivered by horse and wagon and eventually by the milk truck. Today both of those means of delivery are gone and everyone gets their milk from the grocery store. 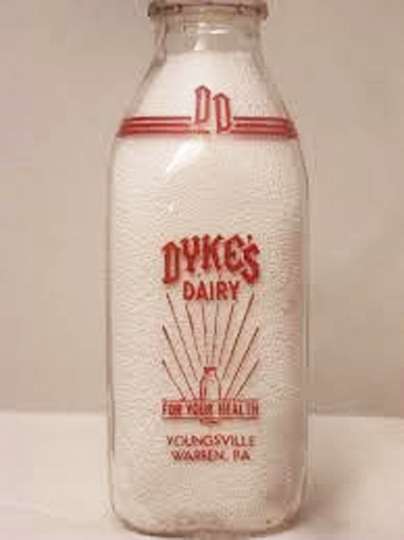 The three best-known dairies in Warren County were Dyke’s Dairy, Walker Farm Creamery, and the Warren County Dairy Association. The original ice cream gallon container that was adopted by most creameries as the standard. 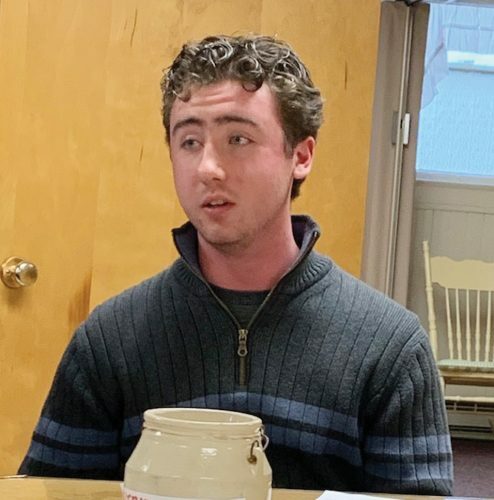 Photo submitted to Times Observer Jim Ostergard spoke to the Antique Study Club on local dairies and antique milk bottles at a March meeting. airies and farms for advertising purposes making pyro decorated bottles the bottle of choice by the 1940s. 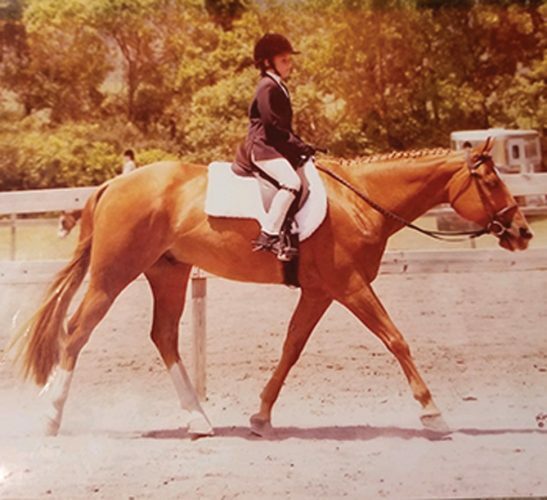 Most Warranties remember Walker Farm Creamery operated by Edward Walker and made it their destination for many evening walks. Walker had a store at 319 Pennsylvania Avenue, but the actual farm was located approximately 27 miles from Warren near Corry. 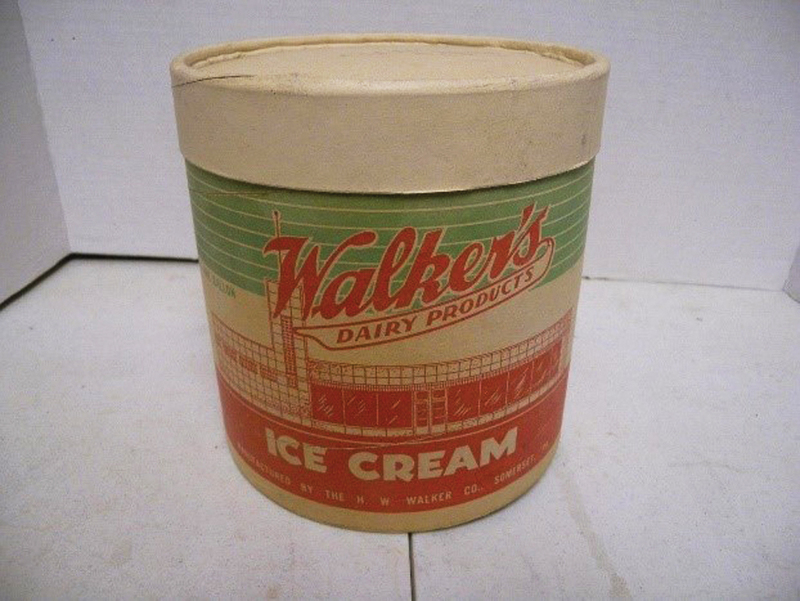 Regarded as one of the best farms in the Warren area, Walker delivered milk but is best known for its ice cream. Warren County Dairy Association used the embossed style of glass milk bottle as seen here. The Warren County Dairy Association was a group that took over the pasteurizing, bottling and selling of the milk for the smaller farms. They used the embossed milk bottle because they represented many farms and not just one. Milk bottles have a big following by collectors. This article cannot even touch the surface of different types of milk bottle out there. Most popular for collectors were War Bottle, Baby Bottle used a gift for babies, Squat Bottles, Cream Top bottles Disney Bottles with Disney characters and Baby Faced Bottles. Pot of Gold Dairy Farm in Warren County is one of the last dairies to bottle their own milk in glass bottles. 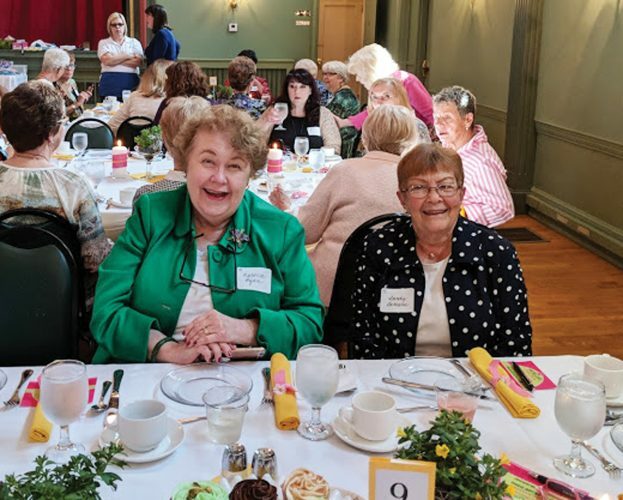 After the program, members enjoyed a delicious dessert prepared by the Hostess Committee of Gail Cowan, chair, with committee members Julie Myler, Judy Champlin, Cynthia Hamersley, Dorothy Higgins, Connie Jenkinson, Sally Metzgar, Donna Sadler, Margie Smith, and Ruth Barnes Shaw. For anyone interested in joining the Antique Study Club, call the president, Crissi Winans, for information.